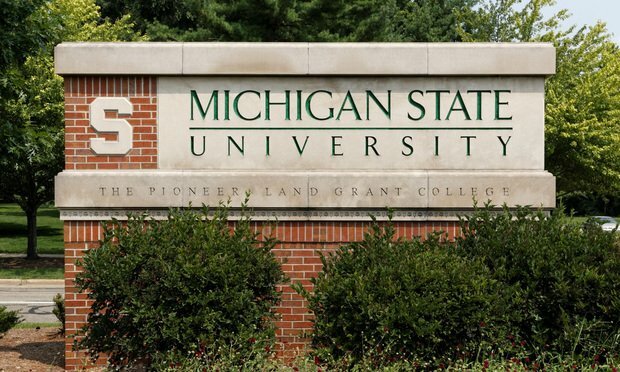 A proposal to fully integrate the Michigan State University College of Law into the larger university campus where the school resides is moving forward, offering further evidence that the independent law school model is under intense pressure. Michigan State University College of Law is poised to formally become part of the East Lansing university. The law school currently operates as a private, independent campus that is affiliated with Michigan State, but the university board of trustees voted Oct. 26 to bring the law school under its umbrella of programs. The plan still requires the approval of the law school’s board of trustees. The merger is the latest sign that the independent law school model is under intense pressure. Six independent law schools have either merged or closed up since 1995, leaving 18 such campuses. That figure is expected to drop to 17 in 2019 when the John Marshall Law School becomes part of the University of Illinois at Chicago. Another standalone law school, Arizona Summit Law School, has stopped holding classes and plans to officially shutter once its remaining students complete their degrees at other schools. Meanwhile, the Thomas Jefferson School of Law has moved out of its $90 million campus and has become California-accredited—a backup plan should the school lose its American Bar Association accreditation. As with other independent law schools, operating without the financial backing of a larger institution has been a burden for Michigan State’s law school, prompting the realignment. Bringing the law school into the university fold will eliminate duplicate administrative functions and make it easier for law students to take courses in other university programs, proponents said. Michigan State University College of Law was established in 1891 as the Detroit College of Law. It formally affiliated with Michigan State in 1995, and later changed its name and relocated to East Lansing—about 90 miles away from Detroit. While the affiliation allowed for dual degree programs and for law faculty to participate in campus activities the law school’s finances were kept separate. (The arrangement is similar to that of Western Michigan University Cooley Law School.) That will change under the new proposal, when control of finances and other aspects of the program are centralized under the larger university. The law school’s board of trustees are set to vote on the plan Wednesday, and Ponoroff said there is widespread support for the proposal among its members. A third of the law school’s board members are appointed by the university’s board of trustees. Finances are at the root of the recent spate of independent law school closures and mergers. While some independent law schools have weathered legal education’s downturn, others have struggled to stay afloat with fewer students. Unlike law schools within university systems, independent law schools can’t turn to central administrations for financial assistance during lean times.